We are passionate about the quality of care we provide and our woman-focused approach looks at your needs throughout each and every stage of your pregnancy. 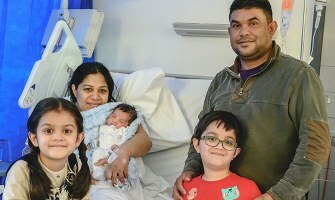 We provide maternity services at Chelsea and Westminster Hospital, West Middlesex University Hospital and in the community, supporting around 12,000 women a year who give birth with us. You can choose to plan to give birth at either of our hospitals or at home. 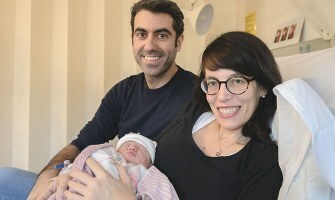 We aim to provide the best possible experience for mothers, babies and families, and are truly delighted that so many women not only choose to return to us for second and subsequent births, but also recommend us to family and friends. The majority of women experience very normal pregnancies and birth journeys and we have a full range of options for maternity care. As well as our fantastic midwifery-led care we also provide an excellent obstetric model of care to include specialist support for more complex pregnancies and health conditions with an excellent fetal medicine unit. We are very proud of our teamwork ethic, where staff work together to plan and deliver one-to-one care tailored to the needs of individual women. As a team we support each other across our two hospital sites and, although you will book at one of our hospitals, there are times when you may receive certain aspects of your care at our other hospital site. We will let you know should the need arise. 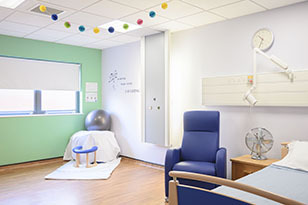 Together with our state-of-the-art facilities and initiatives that go beyond immediate health and care needs—for example, our complementary therapies service—we continually strive to give babies, parents and families everything they need for the best start in life. More than 9 out of 10 women would recommend our maternity services at Chelsea and Westminster* and West Middlesex** hospitals. Our service users rated us 9 out of 10 for labour and birth in the CQC Maternity survey (published Jan 2019). Our high quality, evidenced based, safe and nurturing care is provided by a team of dedicated healthcare professionals who centre the service around your individual needs, in line with our Trust PROUD values. In collaboration with our North West London partners, and as part of our maternity transformation plans to implement the NHS five year vision, Better Births, we are working hard to ensure you have continuity from your care providers with good access to information that will enable you to make your own decisions about the care that is right for your own needs and circumstances.